When you’re paying tens of thousands of dollars for an inground swimming pool, you have a right to expect the best. Unfortunately, not every pool builder can deliver. Whether it’s lack of experience, simple incompetence, or flat-out scammy behavior, a lot of builders shouldn’t be trusted with your money or your property. Here are ten warning signs that you’ve got a bad pool builder on your hands. Be on the lookout for these when you’re still in the evaluation stage. There’s no worse feeling than finding out you’ve made the wrong choice after you’ve already signed on the dotted line. If a builder has no references at all, that’s a 20-foot warning sign with red flashing lights. But even if they can produce of list of former customers, look for subtle clues that a builder’s work history might not be up to snuff. Are the references recent, or cherry-picked over many years? Do the same people who made the customer happy still work for the company? Are the references even real? The only way to find out is to call the references up and ask detailed questions. Don’t rule out a builder just because you come across a customer complaint or two on Yelp or the Better Business Bureau website. Mistakes and misunderstandings can happen even with the best contractors. However, if you come across a large number of customer complaints, or the builder is unable to explain serious issues, watch out. Aggressive sales pitches indicate that the builder knows you wouldn’t decide in their favor if given time to think about it. Granted, many in-demand builders are just being honest when they say that their schedule is filling up quickly. But if they’re truly reputable and have lots of business coming in, they won’t be pushing you to make a rash decision. Unless you’re installing something relatively simple like an above ground pool or an inground pool kit, you should look for someone with all the trappings of a real business. That includes business cards, vehicles bearing the company logo, and a physical location. 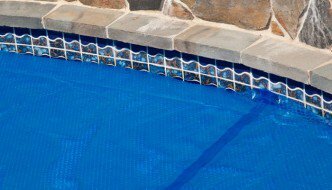 Everyone has to get their start somehow, but it shouldn’t be on your pool project. Lack of compliance with local laws is not only a bad sign, but a deal-breaker. However, you won’t see it unless you check things out yourself. Find out what the requirements are in your state and county, then ask the builder for proof of compliance and/or check public records to make sure everything is in order. Think about it. If the builder can’t keep meetings with you when they’re trying to sell you on an expensive project, can you trust them to stay on schedule after you’ve already signed? A builder who is constantly rescheduling or missing meetings is either overextended or irresponsible. Either way, it doesn’t bode well for their ability to install your swimming pool. If a builder is quoting a price that’s far below the competition, there’s a reason why. Maybe the builder is relatively inexperienced and needs an opportunity. But it’s also possible that the builder has a bad reputation, is using cut-rate materials, or simply has no intention of delivering what they’re promising. Since you’re building something that will be part of your home for decades, now isn’t the best time to go bargain hunting. It’s normal for the builder to ask for a percentage of the payment upfront in order to cover their expenses. But when they’re looking for lots of cash before the job is done, that’s a serious warning sign. In fact, it’s illegal in some states, including California. Even if the builder isn’t the scammy type, they’re more likely to do good work if most of their payment comes on completion. Communication is important during pool installation. You want assurances that the builder will be reachable when issues pop up (and they will pop up). If they’re not returning calls or answering emails when you’re in the hiring phase, it’s doubtful they’ll be responsive during a hectic installation process. And forget about getting in touch months later when you have a question about your new pool. In the end, you don’t need a good reason not to hire a pool builder. You’re spending a lot of money and putting your backyard in someone else’s hands. If you simply don’t feel right about a particular builder, you should keep on looking until you find someone you fully trust.